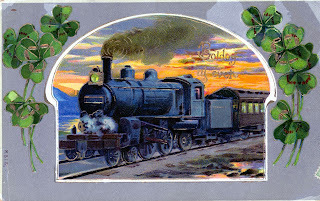 Welcome to the 2010 iGene Awards, one of the Carnival of Genealogy (CoG) monthly themes. For my readers new to CoG, it offers genealogy bloggers a new topic each month for our blog posts. 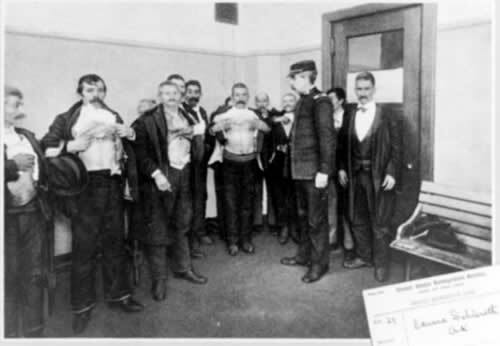 February is the month to highlight our best posts of the previous year in the categories you'll see below--a fun "Academy Awards" for us family history devotees. I've squeaked into the competition--just like those movies that show up in the theaters at the very end of the year. I started my blog on November 16, 2010, but managed to find winners in each category. Thank you to Jasia at Creative Gene for making this all possible! 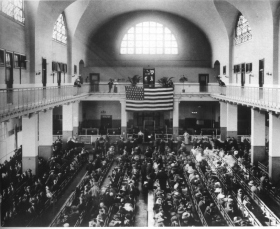 Based upon his own diary, a 21-year old Transylvanian immigrant, Josef Gärtz, takes off for America on Christmas Eve, 1910. 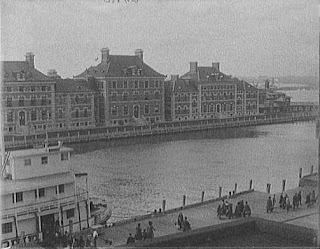 Too impatient to wait for proper papers, he leaves behind his sweetheart, Lisi Ebner, not knowing if he'll ever see her again. 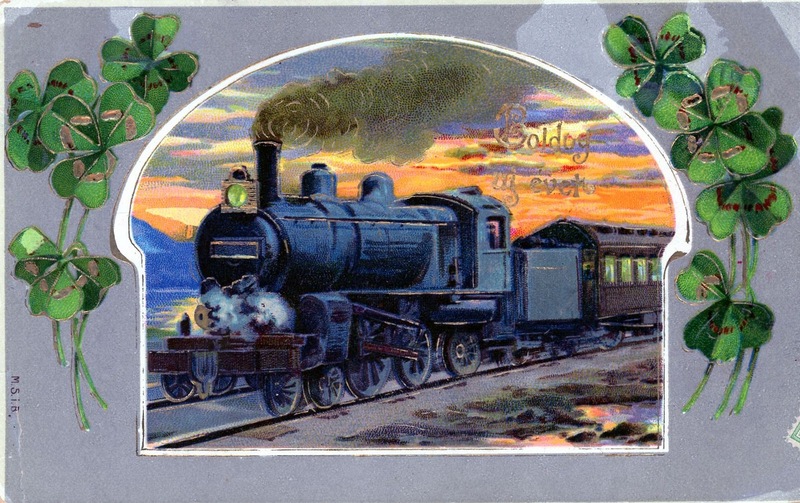 Along the way, he must escape border patrol agents by clinging to the top of a roaring train, endure endless health inspections that could at any time derail his dream, and bid farewell to Europe, wondering if he’ll make it alive across a roiling and frigid Atlantic Sea. Follow this serial adventure from its start, on December 24, 1910, brought to life again 100 years to the date after he wrote about it. 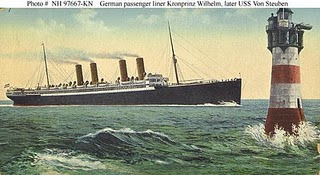 "I can hardly wait to see what happens next on Josef's voyage." and your photo choices add so much." This photo is a winner because it not only shows my grandmother, Lisi Ebner, her employer (center), and co-workers, but also depicts the details of the domestic chores that ruled women's lives when Lisi was a young woman. Equally as thrilling as seeing this photo and the people Lisi held dear (including the little girl at right, Lisbeth, for whom my grandmother was governess), was to find the message that had been hidden for the last century on the back of the framed picture. Find out for yourself by reading more about this Best Picture. Another serialized winner, Lisi Ebner's young life is revealed in these three posts which paint a picture of a young woman dealing with early loss, finding her equilibrium again in a blended family, falling in love, and soldiering on through difficult times. 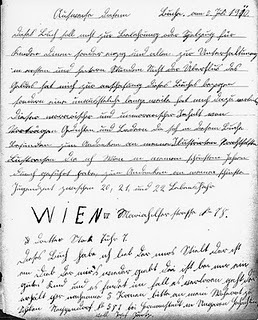 Young Josef Gärtz starts a notebook in which he records songs and off-color jokes (“moral and immoral contents” as he describes them.) 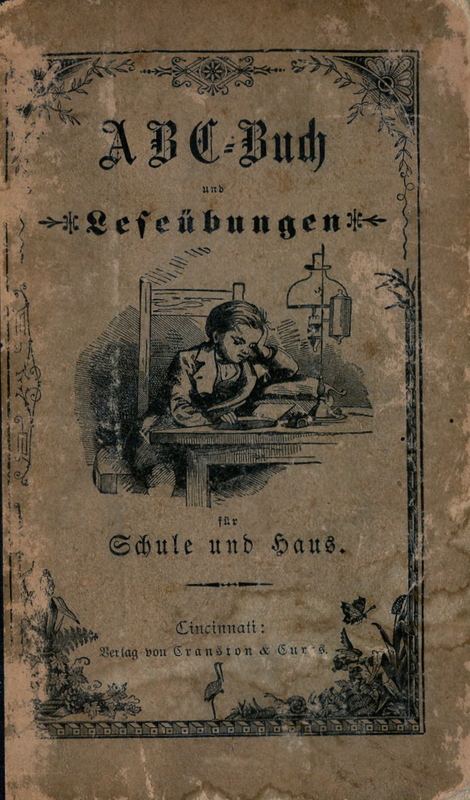 His tongue-in-cheek reasons for purchasing the book, warning that it is not to be used to “instruct children” shows his cute sense of humor even when writing to himself. This treasure deserves best documentary as the oldest indecipherable missive found thus far among scores of letters written in an ancient German script and saved by my grandmother and now me over the past century. I published it on the 100th anniversary of its writing. 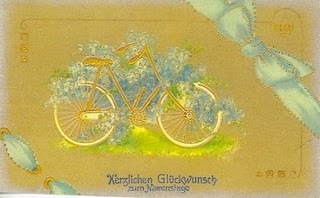 It turned out to be a sweet love note from my grandfather, Josef, to his sweetheart, Lisi. To discover out how I found a Rosetta Stone to unlock the secrets held within these letters and cards, check out this winner! Thanks to all the wonderful genealogy bloggers out there who are an inspiration to me to continue sharing my family history. A special thanks to those bloggers who so graciously welcomed me into the fold. 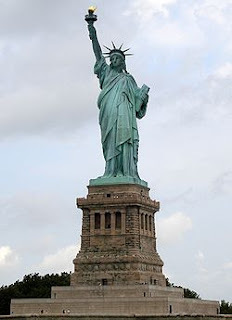 I look forward to visiting more of your sites. My cousin, Maria and I flew out of Stuttgart on September 16, 2007, and landed in Bucharest as the sunset washed the countryside in an peachy glow. At a nearby hotel, we met my two brothers, Paul and Bill, and Bill’s wife. The next morning, we squished five people and their luggage into a mini-van and took off for Hermannstadt (Sibiu), the big city near the two small towns, Neppendorf and Grosspold, which were the original homes to my grandfather and grandmother, respectively. On the way, we stopped for a few hours in Sinaei (named after Mt. Sinai, of Ten Commandments fame) to view Peles Castle on a perfect blue-sky day, crossing a brook, having wine on a terrace overlooking the castle, laughing and telling jokes and stories about our childhood. Continuing on to Sibiu/Hermannstadt, the going was slow as the major highway was under reconstruction (roads and streets were ripped apart everywhere in an effort to rebuild a country that had been working for almost two decades to overcome the neglect and brutalization under Ceausescu). Scenes along the road were of another era. Passing through one small town near sunset, we yielded to cows on the highway driven home from the pastures. Old women in their babushkas and long skirts sat at the side of the road, perhaps waiting for loved ones to return from the fields or watching the world go by. We arrived at 9 p.m. in Sibiu, exhausted after about ten hours of travel, but were rewarded with dinner in a cellar restaurant with ancient brick domed walls, entertained by the musical duo pictured here. Lots of meat and salads of tomatoes and onions were typical menu choices. We overnighted right next to the Evangelische Kirche Neppendorf, (Lutheran Church in Neppendorf) where the Gärtz family had worshipped for two centuries. In the next few posts, we'll see the secrets this church yielded to expose unknown family history. Welcome to the first post for “Travel Tuesday.” I plan to use Tuesdays to highlight the roots-finding trip my brothers and I made to Transylvania, Romania, in September, 2007. I’ve suggested this topic to Genea-bloggers as another possible prompt to which others may wish to contribute about genealogy research trips they have taken, and/or to highlight the lands of their ancestors. The theme of Travel Tuesday is two-fold. One is to introduce my wonderful readers to the not-yet-fully discovered, gorgeous region of Transylvania in Romania. Some of the places we visited are as beautiful, historic, and fascinating as any destination in Europe. Romania is caught in a bit of a time-warp. We saw scenes every day that one would have to go back forty to sixty years to see in Western Europe: ubiquitous horse-drawn carts hauling harvests on the secondary highways, men actually cutting grass with scythes in the fields, cone-shaped haystacks out of another time, parents and youngsters working side-by-side to harvest potatoes. Breath-taking mountains and valleys, dotted with farms and grazing animals, created an unfolding panorama, a new view around each bend. The second theme is to share the genealogical discoveries such a trip afforded us, which I hope will encourage others to travel to their ancestors’ native lands, if for no other reason than to breathe the air, and be part of the geography in which previous generations lived. In some places, this is no longer possible, so much was destroyed in the wars or built up with 20th century sprawl. But some vestige of the past probably remains that your imagination can latch onto as we all love to envision the reality of our ancestors’ lives. So I’ve used up most of my words today just introducing this idea, but will begin next week where my my journey to Romania began: in Crailsheim, Germany, where the present-day Gärtz family, my cousins, settled after leaving Romania. In my previous post, I wrote about my 1995 trip to meet these relatives for the first time in my life. 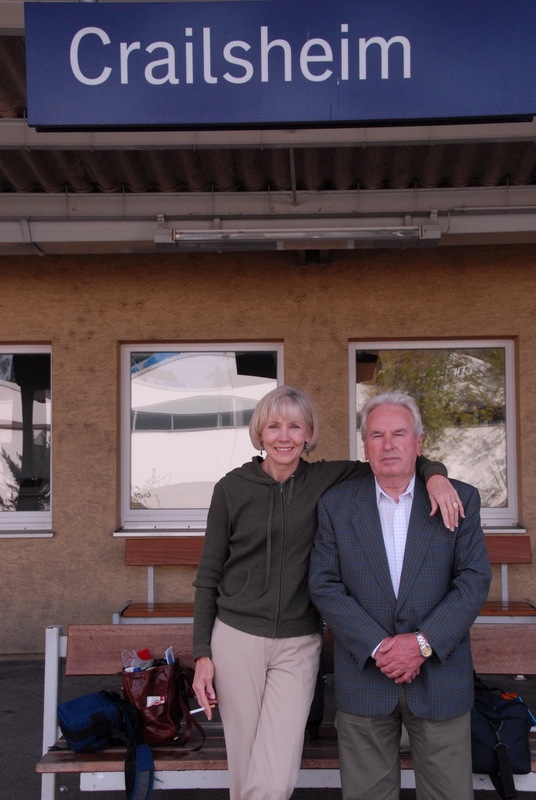 The goal of my most recent visit in 2007, twelve years after the first, was to visit again with a part of the family that had actually lived and grown up in interview the elder Gärtz, Hans, and find out what I could about my grandfather and life in Romania. I was struck, as Hans spoke to me, how much his gestures resembled those of my grandfather, Josef. Just like Josef, Hans used his hands, often spreading the fingers wide, palms down, to emphasize a point, leaning back, then forward in his chair, as he shared stories from Neppendorf, the little town he and my grandfather’s called home. Like Josef, Hans laughed easily and had a quick sense of humor, Hans didn’t know Josef, who had emigrated before he was born, but Hans’s father, knew him. “Josef was always full of silliness,” his father had recalled. Same guy I knew -- always sticking his false teeth out at us grandkids to get a laugh. 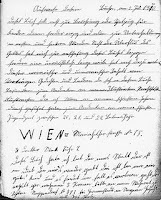 Hans’s interview, two years before I found Josef’s diary, was the first time I had heard that Josef had left Romania on Christmas Eve, and that he didn’t have the proper papers to leave. 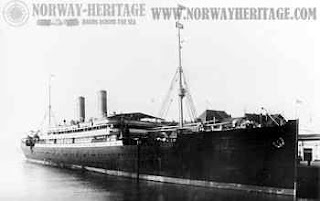 “He just wanted to go,” Hans said, “and didn’t want to wait.” When I found the diary, corroborating the Christmas Eve departure, combined with Hans’s story about missing papers (not mentioned in the diary) it was like the click of a lock. 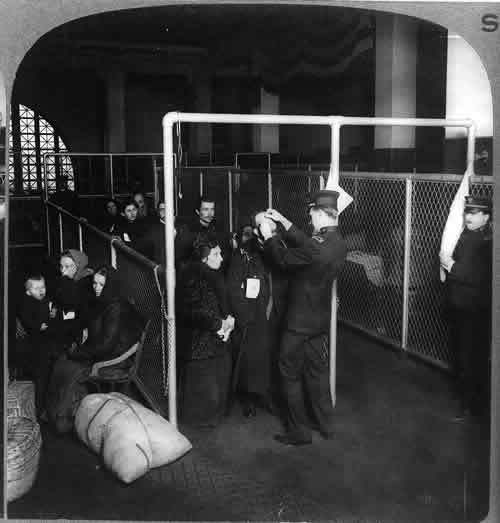 I knew I had important details, which explained why Josef had to escape detection at the borders. Without the Hans interview, I would have been left wondering what that was all about. So, dear readers, in order to keep these posts brief and readable in everyone's limited time, I’ll continue the Romania story on Travel Tuesdays over the next several months. 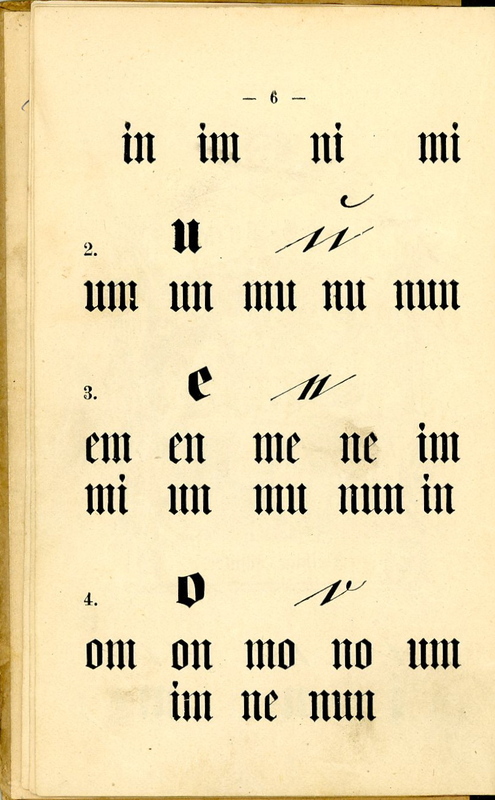 Cryptic cursive was the number one barrier that held a century of letters hostage. The second, less daunting, but still real barrier, was the language, German. My first son, Evan, was six, and I thought, “What a fun way to spend quality time with my boy, introduce his pliable brain to a foreign language, and indulge in a little refresher for myself.” The class was tiny -- about 4-6 couples of parent and child. The teacher, Antje, a native of Germany, delightful. She filled the class with games and activities through which vocabulary was painlessly introduced and learned. I couldn’t have pulled most of those basic words from my quarter-century-old studies, but I was amazed at how simple reviews reignited long dormant brain cells. It was the start of my German language revitalization! My mother’s death in 1994 also drove home what we all acknowledge, but only truly absorb through personal experience: Life is short. Death is final. It was time to stop talking about travel and do it! I planned for the whole family to go to Germany the following summer, lest another 25 years zoom by. grandfather's half brother. Far right Hans Jr., my generation. 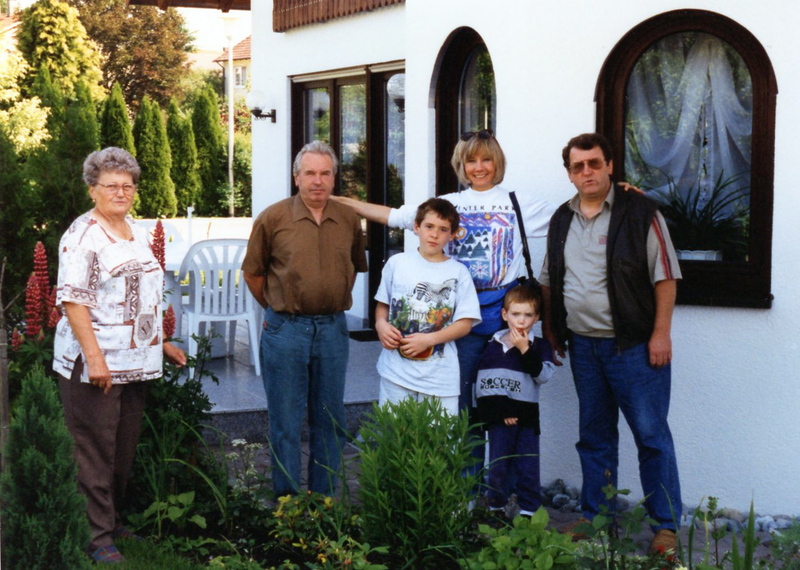 So in June, 1995, we landed in Munich’s airport and drove to Crailsheim, where, for the first time, I met my distant cousins -- the Gärtz family that had lived in the same Romanian town, Neppendorf, and the same house as my grandfather, Josef. This branch of the Gärtz family is descended from Josef’s half-brother, Michael Gärtz, twenty-two years older than Josef. Their father had remarried in his 60s, and Josef was the result. 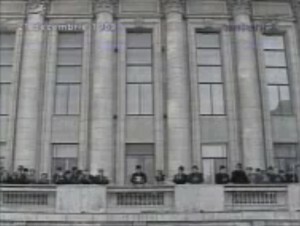 were tried and executed on 12/25/89. After enduring the brutal Romanian dictatorship of Ceausescu and his lunatic wife, thousands of ethnic Germans, including my cousins, reversed the immigration process of the previous 800 years and left Romania, returning to their ancestral Germany, where they were guaranteed citizenship as ethnic Germans. Maria, my second cousin, twice removed, is my only contemporary female relative. (I have no aunts, no sisters). We hit it off immediately, and I feel I found in her the sister I never had. Speaking the language all day with my extended family abroad oiled up my German skills. I realized how much I liked expressing myself in a foreign language and how it breaks down barriers when traveling. Upon our return home, Evan and I continued the German classes for six more years, building my vocabulary, comfort level, and confidence with the language. Fast forward to 2009. 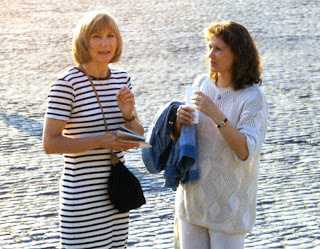 That summer is when I received the email from Uli, the German Professor we had met on our roots-finding trip to Romania, asking me if we had any letters. Realizing he might be able to help a bit with illegible German, Uli’s email was the spur I needed to look at the letters more closely. in a second Missler Wallet in Box #14 "Correspondence"
So how to begin? 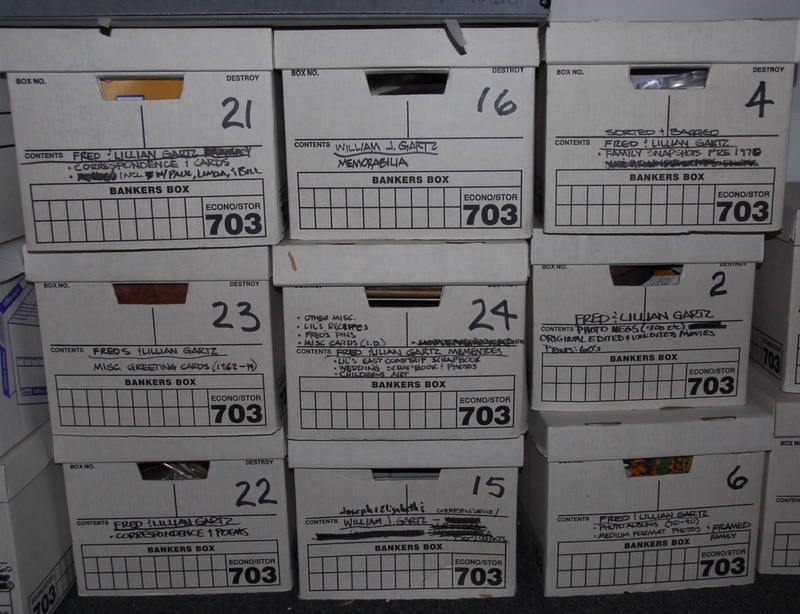 On September 9, 2009, I hauled out box #14 and began looking through the piles of letters. One group stood out--folded inside yet another Missler Wallet. (Remember the one in which I found my grandfather’s diary? 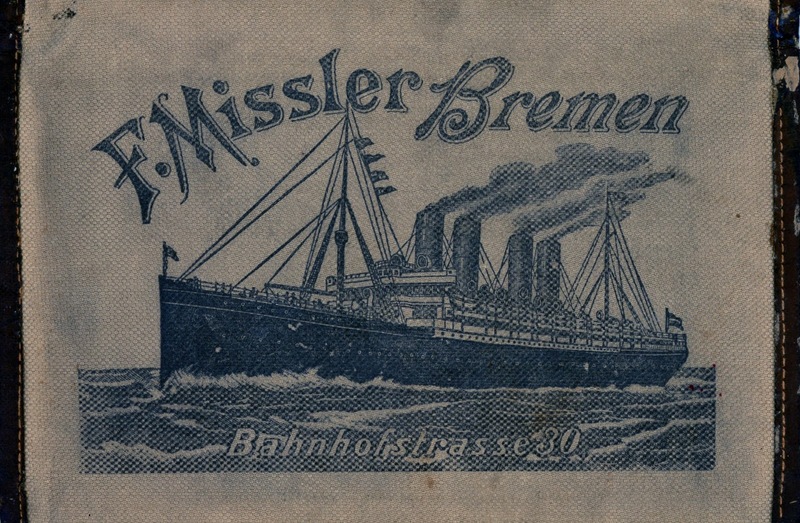 Well, one of the ubiquitous Missler wallets came to America with my Grandmother too, and she used it to store some of her most precious letters). Stuffed inside, folded together into thirds were a fat bunch of missives. Amazingly, most were not brittle or yellowed. I can only assume the paper back then was far more acid-free than today. This seemed a fine place to start. At least I knew what signatures to look for. I found more than I had ever dreamed existed, but plenty of unknowns remained. In the near future, I’ll share my first stab at unravelling the mystery of the authors. 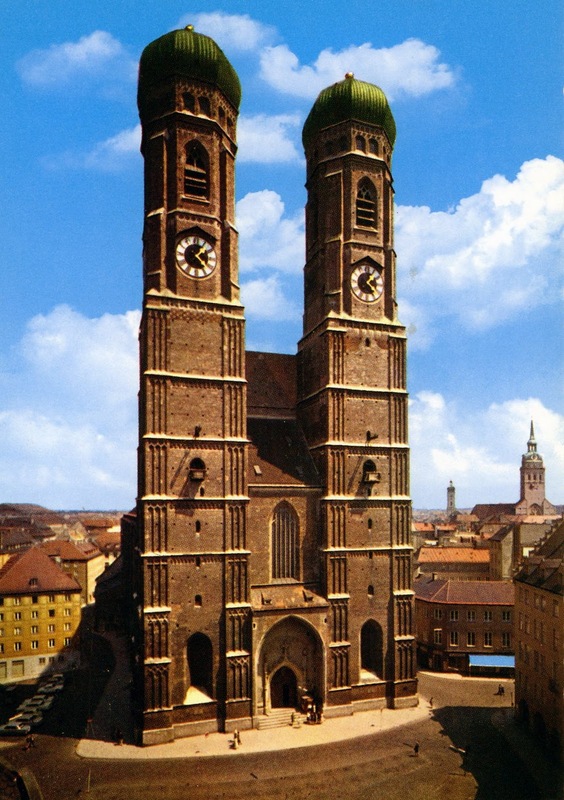 But first, I'm starting a regular weekly post, "Traveling Tuesday," to share the discoveries of our roots-finding mission to my grandparents' native land as well as to introduce the beauty and historical sites of Transylvania to anyone who loves travel. Read about it on the introductory post next Tuesday, 1/18/11. 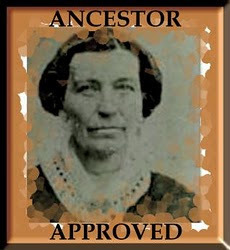 Recently I've received the Ancestor Approved Award from Nancy at My Ancestors and Me. Thank you so much for making Family Archaeologist one of your choices. My hope is to create a link to all of our ancestors' experiences, and our common humanity, through the words expressed in the diaries, letters, and documents I'm sharing. This award was created by Leslie Ann Ballou at Ancestors Live Here. Leslie asks that the recipients list ten things that they've learned about any of their ancestors that have surprised, humbled, or enlightened them AND pass the award on to ten other bloggers who are doing their ancestors proud. 1. 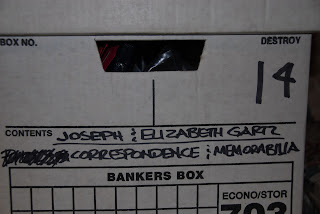 Surprised: By searching through my trove of ancient letters, I was surprised to discover what a prolific correspondent my paternal grandmother, Elisabetha (Lisi) Gartz was. She corresponded for sixty years with the little girl for whom she’d been governess, for forty years with that girl’s mother, Mrs. Jickeli, (my grandmother’s boss in Hermannstadt, Transylvania/Siebenbürgen), and for decades with range of family and friends from the old country. The scores of letters they wrote in return, and that my grandmother saved, are proof of their lasting affection for all those decades. 2. I was shocked to find the loving, devoted, prayerful letters my grandmother composed to my uncle as he trained for and served in World War II. She was rather distant and uninvolved with her grandchildren, and I never saw this side of her. 3. I’ve been humbled by the work ethic of my grandparents and parents -- learning more through notes and letters about their ability to work unceasingly, without respite, for most of their lives. I also realize now this maniacal devotion to work, while serving the new immigrants well, could have used a little tempering. 4. I was surprised to find the level of note-making and labeling on family photos and miscellaneous documents. It’s almost as if everyone was planning to to communicate with the future. 5. On my roots-finding trip to Romania in 2007, I was awestruck by the beauty of the homeland , Transylvania / Siebenbürgen, my grandparents left behind. 6. Finding out that the original Gärtz who emigrated to Transylvania came from Gerstheim, in Alsace-Lorraine, was a real surprise. 7. I’ve been humbled by the beautiful, loving letters, so sweet and sincere in their expression of love, between my grandmother and her little charge, Lisbeth. 8. I was stunned to find my grandfather kept a diary of his trip to America, and wrote a letter to Lisi just before boarding the ship (see previous posts) confirming the story he often told us when we were growing up. 9. I was surprised to find my dad kept diaries: from the ages of 19-21, in the 1930s, and again from 1950-1956, starting right after I was born. I was enlightened to learn about his youthful dramas and what life was like when I was too young to remember. 10. I was surprised to find out my grandmother had several siblings who died as infants or very young. She never spoke of them. I'm passing on the Ancestor Approved Award to the following blogs. I chose them because their content is interesting and/or informative and fun to read. As far as I could tell, none have the "Ancestor Approved" logo on their sites. While Josef makes his way across the Atlantic to America in early January, 1911, I thought I’d use his “travel time” to fill you all in on some details of this family archaeologist’s dig. First--a little more about the unreadable letters, diaries and documents. I access regularly are in my office. 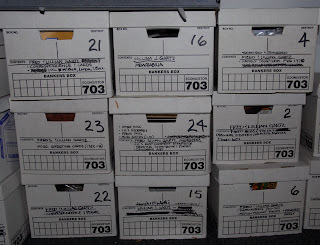 These... stored away. My older brother, Paul, gets the credit for the letters’ continued existence. Both my younger brother, Bill, and I could have been persuaded to toss them. Paul wanted to keep everything that could be remotely related to family. We sighed. “No one will ever be able to read them!” I declared. Now I’m the only sibling that has even passable German language skills. (For lack of a better idea, I chose German as my college major. Within a year, I got the payoff for that impulsive decision: I spent my senior year studying at the University of Munich, which fixed the language into the deep recesses of my brain, even when surface knowledge was forgotten). 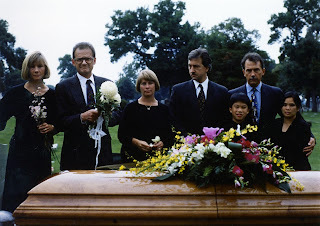 In 1994, after almost a quarter century hiatus from German, raising two young children, acting as executor for my Mom’s estate, and with a newly gutted and renovated house that required serious attention, I looked at those letters and prayed for dispensation. I was certain I could never endure the agony (with my creaky and diminished language skills) or the time (see above) of translating the undoubtedly mundane details from the lives of people of whom I had no knowledge. Were they even relatives? Oh...and then there’s the ILLEGIBLE part. 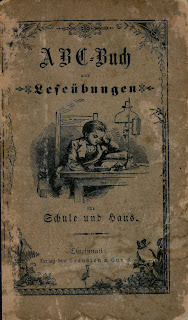 Just to give you a sense of what I’m talking about, here’s a little book my grandmother kept, copyrighted 1881.The title: ABC Buch und Leseübungen für Schule und Haus: (Book and Reading Practice for School and Home). 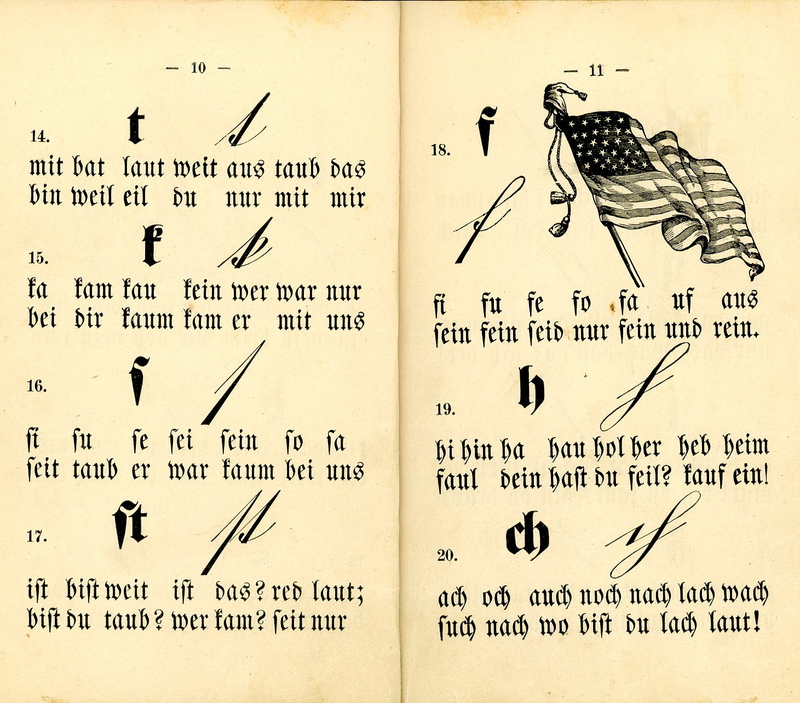 Its intent was to teach children to recognize both printed and handwritten letters of the alphabet in late 19th Century German. It shows the physical style of writing my grandparents, their friends, and relatives would have learned. This little book shows the handwriting used in the letters. 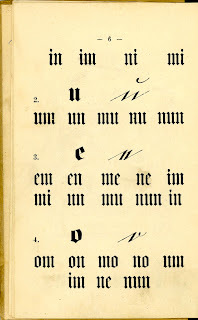 Below are just a few examples: Page 6: Look how “u” “e” and “o” are written in longhand. Huh? No semblance to our way or writing. At the very bottom, you'll see pages 10 and 11 displaying even odder renditions, to our mind, of cursive letters. So why would I want to keep correspondence, the handwriting of which was almost as inscrutable as hieroglyphics? To keep peace in the family. 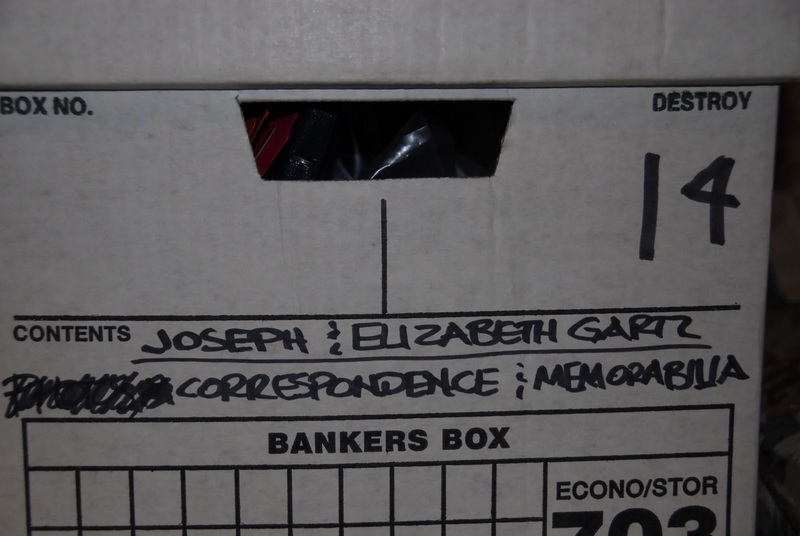 We dutifully stored the letters, giving them their very own box. At the time, I was sure they would never again see the light of day. 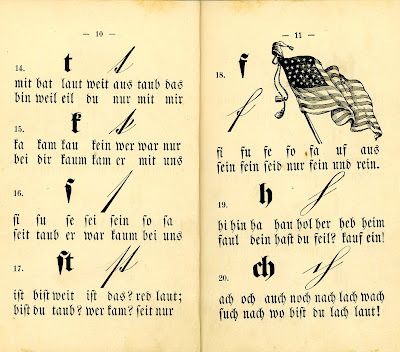 Next post, I’ll tell you how I got my German mojo back, how I began to unravel the letters' mysteries -- and then struggled to keep the work organized. It may offer you some ideas as to how to approach your own document quandary--or you may have better ideas! represent the letter "f." Promoting the dream?